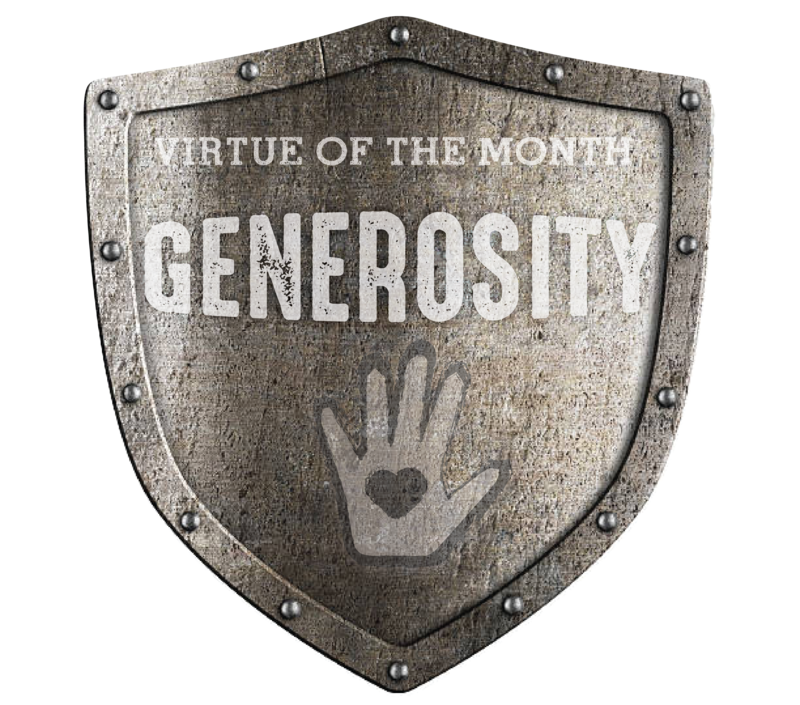 The virtue of the month for Conquest and Challenge in January is generosity. Generosity is a virtue where you give of your self or your things without looking for anything in return. The funny thing about generosity is that it comes from the heart so it is not how big the gift is that matters, but rather the value it has to the person who gave it. 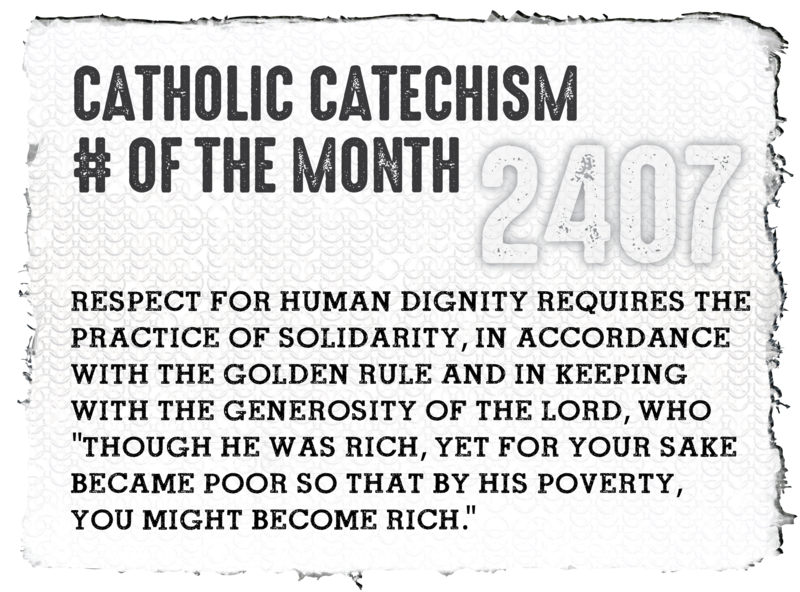 Generosity does not need to be in money or things. You can be generous with your time or attention too and sometimes that is even harder. 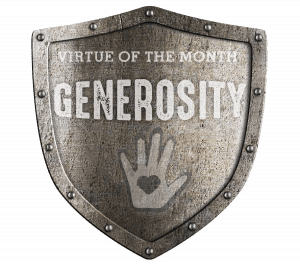 Generosity is definitely a Christian virtue because Christ lived it. He was always giving of his time, listening and helping others. He gave his life for us on the Cross and he gave us his body and blood in the Eucharist. “God so loved the world that he GAVE his only son…” Generosity springs from a loving heart and that is why Jesus was so generous. God is generous with us through his grace. By grace we mean God’s free, loving gift to us, his helping goodness, the vitality that comes from him. Grace is everything God grants us, without our deserving it in the least. Grace is not a thing, but rather God’s communication and action in our lives. God gave us everything we have and we should be completely generous with him. One way to open ourselves up to God is by being generous with our time and praying. Making time for prayer is a gift we should give God each day. 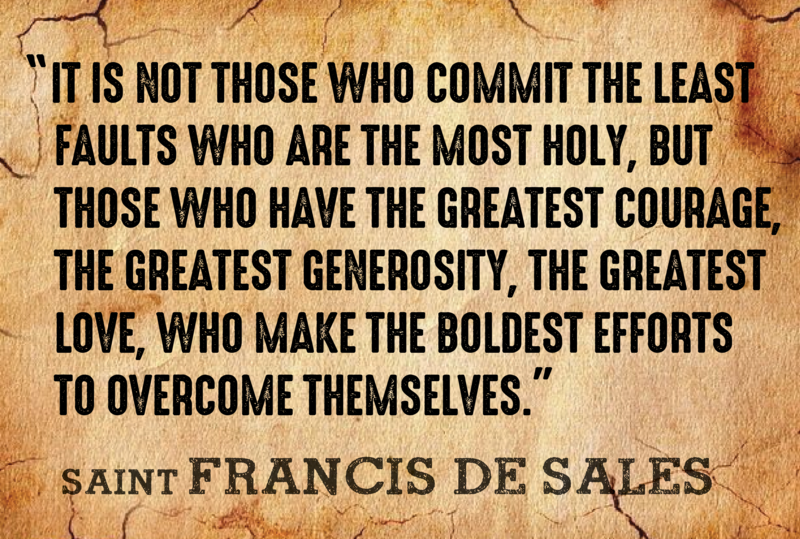 The quote of the month from St Francis de Sales shines a different light on generosity. 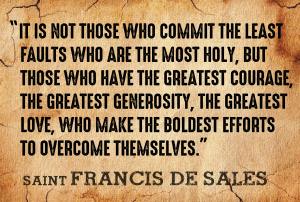 He wrote, “It is not those who commit the least faults who are the most holy, but those who have the greatest courage, the greatest generosity, the greatest love, who make the boldest efforts to overcome themselves.” We will always make mistakes and have faults because we are human and its part of our nature. 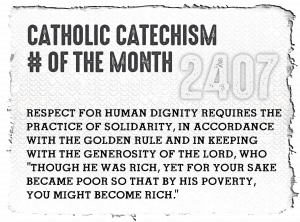 That is where the opportunity to live the virtue of generosity comes in! If we stand up and try our best to be better people every day by giving the best of ourselves, then we will find a great happiness. There is more happiness in giving than receiving and when we give of ourselves to God and our neighbor, we will find that even though we are tired at the end of the day, we have a smile on our face knowing we pleased God.